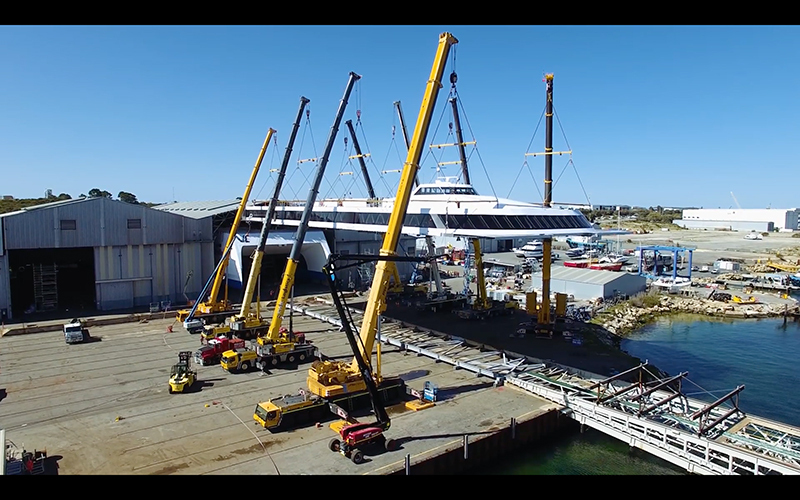 This Austal video shows a key milestone in the construction of the 109m high-speed catamaran ferry EXPRESS 4 for Molslinjen. This short footage combines the lift of the superstructure and rollout of the hull at Austal’s Henderson Shipyard in August 2018. Click on photo to access the video on YouTube.